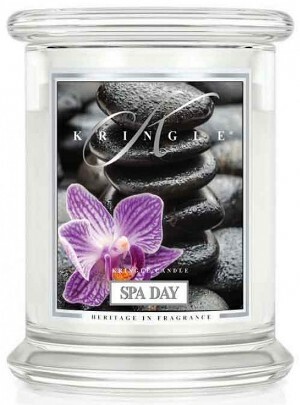 Spa Day - Kringle Candle Co - Candle Find ... the site for candle lovers! Spa Day from Kringle smelled unlike any spa type scent I’ve ever tried. The wax from this candle smelled sweet and almost candy like is how I want to describe it. 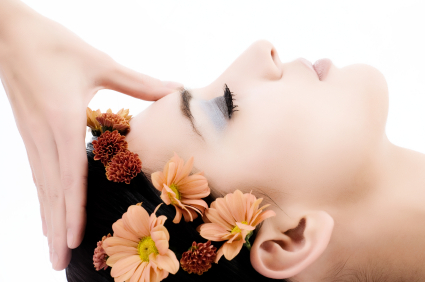 Let’s have a Spa Day and be cooler than a cucumber; adding a mix of mint and apple to set the mood. Fresh ozone, water flowers. Aromatic, muguet, Amber, white musk. Honestly, I didn’t smell any ozone in this scent, nor flowers, amber or white musk. Muguet? I had no clue what that was so a quick internet search told me it was a floral (Lily of the valley.) Yeah, not smelling that either. To me, this scent smelled more like the first description… apple and mint mixed with something else I couldn’t quite pinpoint. I was intrigued. Now let’s see how this candle performs. I lit this candle in a small bathroom to start out and that’s where I left it till the last drop of wax. The fragrance… it changed on me. I still smelled the apple and mint but the water flowers and musk also made its presence known and the overall aroma was very unique. My bathroom smelled like a soft and powdery floral with hints of apple and mint. After burning this candle a full week. I’m not so sure “Spa Day” is the right scent name for this fragrance but it was indeed soft and soothing, and I really enjoyed it. Strength – I would rate this candle as follows. 10 out of 10 in a small room. 7 in a medium and 5 in a large. To me, this candle performs best in a small or medium size room. My Spa Day candle burned perfect. No wick issues. Clean burning from beginning to end. What a unique fragrance Spa Day turned out to be. I went into this review thinking it would be an aromatherapy kind of fragrance but it ended up being a very different fruity/floral with the water flower notes in the description really coming to life. I’m glad I had a chance to try it. If you like soft and powdery floral scents with a hint of fruity sweetness, you would probably enjoy this fragrance too. It was definitely different with the apple and mint in the mix.